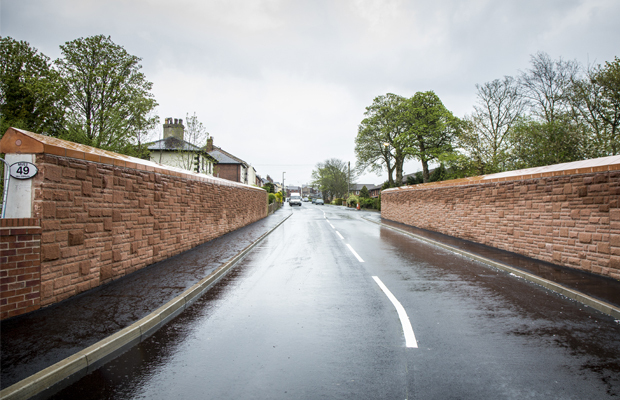 Story Contracting recently completed bridge works at Rawlinson Lane, Heath Charnock ahead of schedule for Network Rail as part of their package of five bridges over the railway in the Chorley and Bolton area. The Bridge is one of five completed by Story Contracting as part of the electrification of the line as Network Rail invests more than £1bn in the north west of England to provide passengers with a better railway. The bridge at Rawlinson Lane is the fifth bridge that Story Contracting have designed and built on this section of the line over the last 12 months. Highways improvements have also been made to the bridges at Rawlinson Lane and Railway Road, including the provision of wider carriageways and footpaths. “These bridge rebuilds are an essential part of the electrification of the railway which will provide passengers with a faster, more reliable and efficient railway”.